There are two women authors that I read on a regular basis. These two women live and write the Mid-Atlantic life. While I have been an avid reader since the time I learned to read, I had not read either of these authors until I moved to the east coast a decade or so ago. I want to share what I know about these two talented women so you will be able to decide if they are your cup of tea too. This is my review of Tawni O'Dell and Nora Roberts. 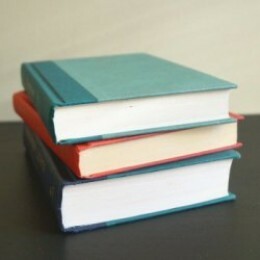 I read a wide variety of styles and genres. I read every day and the main reason I love to read is for the escape. I want a story that takes me away to the theater in my mind. A scene that the author creates so vividly that I can imagine it with ease. As though I am also in that kitchen, walking near that river, or running from that bad guy. I need characters real enough to feel familiar - as though they are neighbors or family. As though I am privy to their secrets because I am a part of their lives. I want to suddenly laugh, cry, or yell. Both of these authors take me away to those other worlds and to that place of escape. If I remember correctly, I discovered Back Roads by Tawni O'Dell during one of my wanderings through a local stick and mortar book store some years ago. I read the book and related to it so much that I had to read everything she has published since. "My roots: I'm half Pennsylvania redneck and half southern white trash. Growing up, I never really fit in. I always thought I was a freak because I liked books and living animals." Her books are set in Pennsylvania, in coal mining communities. While I've never lived in coal mining areas, I do know people similar to the characters she writes about. I love her characters and the way she handles very tough and raw topics. I would describe her writing stark, dark, and humorous. You giggle when you least expect it, right in the middle of some really tough situation. When describing her writing, others use words such as: raw, tense, captivating, touching, titilating, and unique. I agree. After reading her books, and I have read all of them except the most recent, I feel as though I know what life in coal mining community might be like. 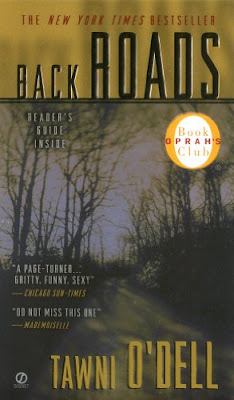 Back Roads is Tawni O'Dell's debut novel. The setting is Pennsylvania mining country. Ms. O'Dell tells us the story of nineteen year old Harley Altmyer. He is an angry, unlucky, and did I mention angry young man who is left to raise his younger siblings. This in not a story for the faint of heart. Harley had reason to be angry, and it is unlikely you will forget this story about a dysfunctional family. I will never forget the thoughts Harley had during one of his sessions with his therapist. As someone who works with children, over the years I had already imagined that some of my clients have had very similar thoughts during our meetings. Thank you Ms. O'Dell for taking me for an unforgettable ride down a dark, bumpy, and frightening dirt road to the Altmyer home. Note: If you like to read a book before the movie comes out, you'll want to read this soon. 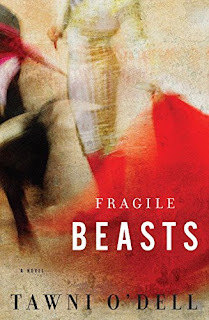 According to Tawni O'Dells website, this Oprah Book Club's pick is "soon to be a film". Nora Roberts. I thought she was strictly a romance writer. Old school romance isn't my thing. Based on my assumptions about romances, I had never picked up one of her books. After moving to Maryland, someone either told me that she writes more than romance or they just handed me one of her books. I can't recall exactly how I came to read these romantic thriller stories, but I was hooked from that moment on. What can I possibly say about Ms. Roberts that hasn't already been said? My guess is that, if you are an avid reader, you've at least heard of her and probably have read her. She is a book writing machine who began her writing career when she was snowed in at home with her young children. I love the story of how she began. "The blizzard of '79 hit in February, and I was stuck in the house with two small children. Any mother out there knows what it is to weep bitter tears when the radio announces that there will be no morning kindergarten" .... "I'd never thought about writing as a career. I thought everyone made up stories in their heads. But after days of being trapped by the blizzard, I was tired of playing Candy Land and was desperate for some sort of release." It was then she took pen to paper and immediately fell in love with the process of writing. I love both her characters and her story lines. With many other authors, I like either their character development or the plot movement, but often I don't enjoy both equally. I do with Ms. Robert's writing. Both the characters and the story stick with me - often for years later. With 200+ books, there is likely something for everyone to choose from. I prefer the stories that mix romance with suspense. I want my hugs and kisses to be mixed in with evil people lurking in bushes and bouts of self-defense. I want my romance to be about strong women who are busy doing their own thing, standing on their own two feet, before becoming weak in the knees with love and lust. The Witness is one such story, and much more. A young lady, who reminds me VERY much of some of the spectrum kids I've worked with over the years, witnesses one violent crime after another. She is able to escape alive but spends the remainder of her life running and hiding. Because she is brilliant and has certain skills, she is able to stay a step ahead of those who want her dead - despite having no family (who says only step-mothers are evil?) or friends to help her. Years later, she begins to experience the possibilities of love and home. Just as she begins to have a desire to put down roots, evil finds her again. Tawni O'dell - Read more about Ms. Odell, her books, news, and upcoming releases and events on her website. 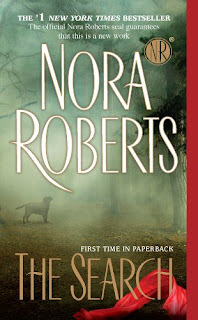 Nora Roberts - Read more about Ms. Roberts, her books, upcoming releases, and events on her website. Inn Boonsboro - Boonsboro is a small town that I had driven through on one of my long, winding "Sunday Drives" when I first moved to Maryland. The surrounding area is gorgeous countryside - dotted with interesting small towns. I was surprised to learn that Nora Roberts and her husband own the Inn Boonsboro. Her husband owns the bookstore next to the Inn - Turn The Page bookstore. Someday, I will stop and stay in Boonsboro, rather than just drive though. Perhaps, I will re-read The Inn Boonsboro Trilogy while I'm there. 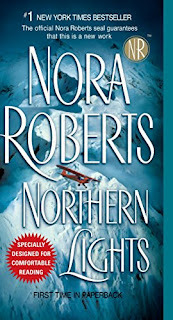 I've enjoyed a few Nora Roberts books, my introduction to her was through Reader's Digest. I used to love their concise books that my parents would order and would be impatient for them to finish reading them so that I could read them! I've never heard of Tawni O'Dell before, but will definitely keep my eye out for her books as I love strong characters that you can identify with. They are strong characters ... with difficult issues to deal with. Definitely not for the squeamish. Let me know if you read one...and what you think afterwards. You've made a very compelling case for reading books by both of these female authors. I've never read either (I skipped Nora Roberts for the same reason you originally did), but now I will. Headed off immediately to add them to my "books" wish list. Susan, I think you will love the "thriller/Suspense" romance books that Nora Roberts writes. Let me know what you think if you read one. I don't believe I have ever read a book written by Tawni O'Dell. It sounds like her books delve into very difficult situations. 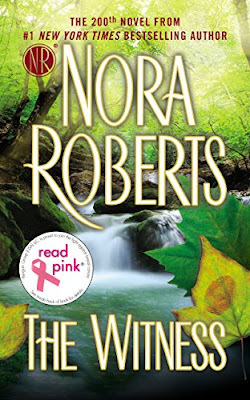 I have read several books by Nora Roberts, but not Witness or either of the other two featured books by her. I'm going to download Witness today. I'll get back to you on whether it scares the wits out of me or not. By the way, I loved your description of reading: "I want a story that takes me away to the theater in my mind". Exactly! Wonderful review of two interesting authors. It's fun to read stories based in an area you are familiar with. I also enjoy authors who describe the area(s) their stories are placed in, even if I've never been there. Well-written descriptions of the landscape and the weather at different times of the year leave me with the impression that I actually KNOW the area myself. I've read Tawni O'Dell's Coal Run and found the description of the PA coal mining area so interesting, even though I've never been there. I'll have to check out 'Back Roads' now. And I didn't know Nora Roberts was from Maryland. Yes, I agree completely. I love how Tawni describes the area. You definitely feel as though you've at least driven through. Excellent review of these two talented authors. I don't read as much as I should, but my wife reads Nora Roberts all of the time. She has many of her books, so now I will have to find and read them. Tawni O'Dell's books would be something I would really like. I'll be adding them to my list!! Excellent review. I don't know it I'd be able to handle Back Roads, but I do love Nora Roberts writing as J.D Robb and have read most of the books in the In Death Series. You have convinced me I should sample some of her romantic thrillers.